Super Sprouter® Simple Start® 4 in Dome provides an option for smaller runs of seeds or cuttings. It can also be used for separating plant stocks so they don't get mixed up. 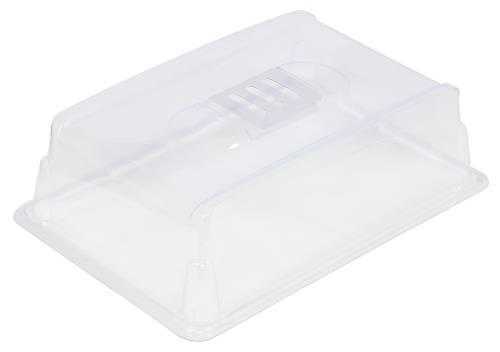 This 4 in dome with vents is used in conjunction with the Simple Start® 8 x 12 in tray (#726424) and the Simple Start® 24 cell insert (726426).